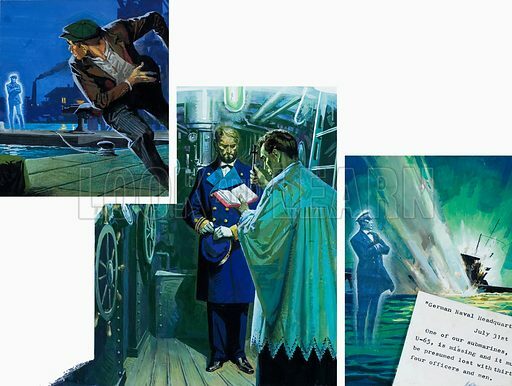 Scenes from a story concerning a ghostly Commander and a missing German submarine, Class U-65. A priest is shown in some relevant ceremony. Original artwork for illustrations possibly in L&L or an annual (as yet to be identified).